Jason Lucarelli follows his brilliant essay on Gordon Lish, composition and consecution (published on NC in February) with an equally brilliant and challenging piece on Stein, Walser and Lipsyte and the use of repetition in constructing narrative prose. In many ways this is an extension of his earlier essay since it seems obvious that Gordon Lish and Gertrude Stein emerge from the same stream of American Modernism and play somewhat similar roles as inspirational figures in their different generations. Lish’s influence on Sam Lipsyte goes without saying. And Walser is a European avatar of that same tradition. Jason’s essay, based on a lecture he gave at Vermont College of Fine Arts in July, is cogent, erudite, intuitive and compulsively readable. He teaches you how to read. Lately I have been thinking a lot about repetition. More specifically, I have been thinking about patterns of repetition and compression and ways to compose a narrative so that certain words and phrases carry the burden of motion or narrative momentum. As I thought about patterns of repetition, specifically word patterns, this seemed very interesting to me. I started thinking about the inter-textual connections in narrative form and the need for readers to be able to derive meaning from those relationships since it is always necessary to understand where we are going, why we are going there, and what the relational elements of a narrative mean within the context of the work as a whole (47). Barthes says that our function as writers is “not to find new words, with more body or brilliance, but to follow an order of an ancient ritual, to perfect the symmetry or conciseness of a relation,” and because I was thinking about word patterns, I took Barthes quite literally (45). I thought, what could be more concise or symmetrical than a relational network of the same words and phrases repeating throughout a narrative? First, I would like to introduce a working definition of word patterns from the mouth of Douglas Glover. In his essay “The Mind of Alice Munro” from his book Attack of the Copula Spiders, he says, word patterns “begin with mere repetition and accumulate meaning by association and juxtaposition, splinter or ramify, sending out subsidiary branch patterns, and…discover occasions for recombination or intersection of the various branches…in tie-in lines” (95). As portions of a pattern repeat, each repetition conveys its relationship or connection to the pattern. Glover separates word patterns into categories of root pattern (identified as such by its connection to a story’s protagonist) and split-off patterns. In an echo of the Barthes passage mentioned earlier (“no word has a density by itself…”), Glover says, “No word sits by itself; instead, each word vibrates in a dozen relationships with other words, repeating, competing, dominating, wrenching, transforming, shading, and subverting” (98). Similar to Barthes, Glover emphasizes the relationships between words and the nature of those relationships. In this way, repeating word patterns are charged with a variety of structural and thematic functions. Word patterns, for example, can initiate motive and intention, develop conflict and characterization, convey desire and resistance, action and counteraction. Glover’s words are a contemporary explanation of word patterns, so before examining a portion of one of the many patterns in Gertrude Stein’s “Melanctha,” let’s take a step back and see what Stein herself has to say about her process since she wrote and lectured on it so extensively. In her lecture “Portraits and Repetition,” published in 1935—eighteen years before Barthes, sixty-eight years before Glover—she says “…if you like repetition, that is if you like the repeating that is the same thing, but once started expressing this thing, expressing any thing there can be no repetition because the essence is insistence, and if you insist you must each time use emphasis and if you use emphasis it is not possible while anybody is alive that they should use exactly the same emphasis” (167). In her own way, Stein is saying that repetition alone is not enough, for how can one say anything by merely repeating oneself? Rather, Stein stresses the importance of how that repetition is positioned in relation to its prior utterance. Stein unpacks this idea later in her lecture when she says, “the repetition consists in knowing that that one is a kind of one” and “each sentence is just the difference in emphasis” (198). Each repetition with variation carries its own emphasis, its own context, and as a “kind of one,” points back to the whole of where it came. As a rule, each sameness should carry its own difference. 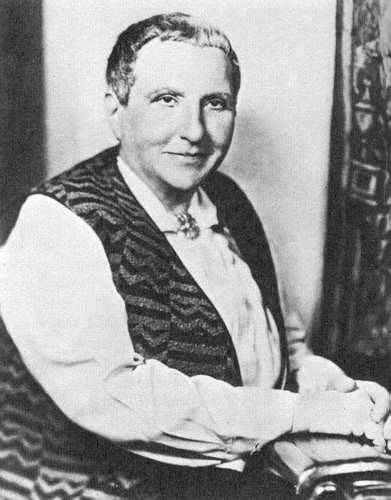 In an examination of the work and life of Gertrude Stein, scholar and literary critic Fredrick J. Hoffman writes, “Repetition is an essential strategy in composition; it guarantees similarity and forces the consciousness upon the nature of the thing seen while at the same time it provides the avenue along which movement and change may occur” (Stein, 20). 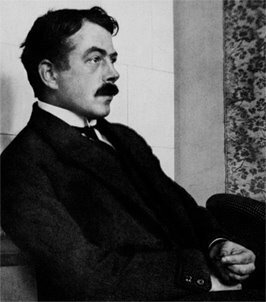 The momentum of Stein’s stories—published in the early 1900’s until the time of her death in 1946—do not rely on discernable plotlines, but rather, as Hoffman says, “subtle gradations of change” and “slow accretions of variant meaning” achieved through a careful balance of repetition with variation (21). In “Melanctha,” published in 1909, Stein builds a relational network of patterns that, as Douglas Glover might say, “controls development and meaning within the text” (96). Stein repeats a variety of words with varying emphasis as a way of progressing the emotional battle experienced by Melanctha throughout the story. The patterns in “Melanctha” are too numerous to name now in every instance, but some of the repeating words and phrases can be easily integrated into the following summary: Melanctha is a girl of mixed race who often feels “blue,” loves “too hard,” “too fast,” and can only find “new ways to be in trouble.” She “wanders,” and in her “wandering,” searches for “wisdom” and “understanding.” But poor Melanctha is “full of the excitement of many men,” and can “always only find new ways to get excited.” When her mother becomes ill, Melanctha meets Dr. Campbell. Melanctha and the doctor begin a relationship of “talking” and “listening,” and Melanctha pushes Dr. Campbell to do less “thinking” and more “feeling,” but Dr. Campbell believes Melanctha’s way of “feeling” is much too “hard” and “too fast.” Eventually Dr. Campbell comes to a new “understanding” and a new “feeling” about Melanctha, even though Dr. Campbell believes he is moving “fast” and ahead of his own “feeling.” Yet Melanctha only “suffers” and remains unsatisfied because Dr. Campbell still seems so “slow” in his “feeling.” This struggle of conflicting emotions continues between them, their “minds” and “hearts” never agreeing, until they finally end their relationship. Let’s look at a few instances of the intersecting patterns of “excited” and “trouble”: “Melanctha Herbert was always seeking peace and quiet, and she could always only find new ways to get excited” (3). For Melanctha, getting into “trouble” and getting “excited” are connected. One leads to the other, and Stein conveys this relationship in a sentence whose structure is parallel to that of the one with “trouble”: “Melanctha Herbert was always seeking rest and quiet, and always she could only find new ways to be in trouble”. Again, to give you a sense of its frequency, the pattern of “excited” along with its split-off pattern of “excitements” is repeated 27 times throughout the text. During a conversation between Melanctha and Dr. Campbell early in their courtship, Melanctha suggests that Dr. Campbell do less “thinking” and more “feeling.” Dr. Campbell replies, “…I really certainly don’t ever like to get excited, and that kind of loving hard does seem always to mean just getting all the time excited. No Miss Melanctha I certainly never have mixed myself up in that kind of trouble” (18). Here, the patterns of “excited” and “trouble” intersect to reveal complication and growing tension in the relationship between Dr. Campbell and Melanctha. In this example, the patterns of “trouble” and “excited” indicate opposing viewpoints, alternate lifestyles. What makes Melanctha so prone to finding “new ways to be in trouble” is revealed in the following sentence: “Melanctha had always had a break neck courage…” (4) The relationship between “break neck courage” and “trouble” is defined in a later conversation between Dr. Campbell and Melanctha when she says: “…I mean real courage, to run around and not care nothing about what happens, and always be game in any kind of trouble” (37). Dr. Campbell replies, “…its all right being brave every day, just living regular and not having new ways all the time just to get excitements…I ain’t ashamed ever to say I ain’t got no longing to be brave, just to go around and look for trouble…” and, he continues, “that kind of courage makes all kind of trouble…” (38) Dr. Campbell’s idea of “brave” reflects “wisdom” that knows to keep away from certain “excitements” and “trouble.” Alternately, Melanctha’s idea of “courage” is one that leads to new “excitements” and “trouble” of all kinds. This succession of contexts forms a battle of opposites and, as Douglas Glover might say, “the competing points of view strive for interpretive primacy” (97). In other words, whose conception of love will supplant the other: Melanctha’s or Dr. Campbell’s? Stein constructs the avenue for this struggle along threads of repetition and variation, sameness and difference, through the use of precise, complex word patterns. On “Melanctha,” Frederick J. Hoffman says, “Each of the significant phrases is repeated, again and again, in slightly new contexts, until one is aware of change within a central pattern of conscious experience” (30). Ultimately, the desired effect of Stein’s patterns, of all word patterns, is to produce some sort of change, or, in some instances, an awareness of staying the same. In Robert Walser’s “Nothing at All,” published in 1917, the pattern making is even more transparent. 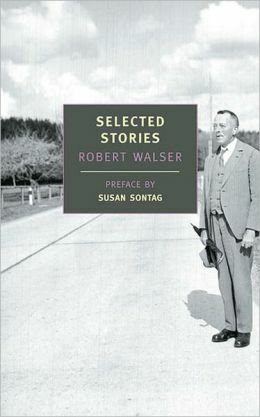 Walser was a German-speaking Swiss writer who published short pieces of prose, novels, plays, and essays throughout 1901 to 1953 during the height of the Modernist period. “Nothing at All” (700 words) is much shorter than “Melanctha” (50,000 words), and while Walser’s patterning and use of repetition is equally interwoven, the compression of his narrative has much to do the transparency of his patterns. The transparency of Walser’s patterning lends itself more easily to categories of root pattern and split-off patterns. Walser even tips off readers to the main pattern of “nothing at all” by initiating the pattern in the title of the story. Instead of tracing each pattern separately, I will trace the root pattern of “nothing at all” and its connection to the split-off patterns of “good” and variations of the phrase “mind on the matter.” As in Stein’s “Melanctha,” “Nothing at All” contains other patterns that carry all other prior utterances to the pattern they came from while relating to other patterns at work throughout the narrative. Throughout the story, “good” is used in relation to the “something good” the wife wants to buy for supper. “Good,” in this case, represents intention or character desire. In other instances, “good” had the effect of characterization, like in connection with the “good intentions” or “good will” of the woman during her supper-search, and in the use of “good upright husband.” The woman’s motivation carried by the line, “A woman…went to town to buy something good for supper for herself and her husband,” receives its fulfillment in a tie-in line between “good” and “nothing at all” toward the end of the story: “And so they ate nothing at all and were both satisfied, for it tasted exceptionally good to them” (110). The husband is “in no way angry,” and this irony seems to suggest a resolution, because, in a way, the wife succeeds, at least until the final line of the story, which contains the final instance of the root pattern “nothing at all”: “Many other things would probably have tasted better to him than nothing at all” (111). This line reveals the only instance of judgment from the perspective of the “good” husband in the story, and extends the root pattern of “nothing at all” by complicating the narrative. This final instance also completes the circular momentum of the pattern—and the movement of the piece as a whole—as “nothing at all” moves from its connection of “good” into an implied connotation of “not good.” While “good” is a split-off pattern, it occurs more than any other pattern in the text, 17 times in all, 7 more times than the root pattern “nothing at all.” Here, the root pattern drives the avenue of progression, while the enriched pattern of “good” and all its variant meanings helps to elicit deeper meaning from the root pattern and the narrative overall. 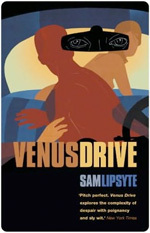 The same kind of transparent pattern making is evident in Sam Lipsyte’s “The Wrong Arm,” a contemporary short story from Lipsyte’s collection Venus Drive, published in 2000. Lipsyte’s root pattern of “the wrong arm,” initiated in the title of the story, controls the development of the narrative while the split-off patterns and repetitive phrases in the narrative initiate change. As with Walser’s “Nothing At All,” “The Wrong Arm” contains a root pattern that centralizes the progression of the story by creating conflict, increasing narrative tension, and tying into the desires of multiple characters in various ways. The root pattern has branching associations of split-off patterns that, in one way or another, relate back to the root pattern. In Gertrude Stein’s words, each repetitive phrase, in connection to the root pattern of the story, helps to provide new insistence, new emphasis to the pattern. Lipsyte uses patternmaking as a way to compress the history of “wrongness” done to the mother’s “wrong arm” while also progressing the pattern in the present moment of the narrative. Let’s look at an example that outlines the boundaries of the relationship between “the wrong arm” and the other family members: “All we knew about the wrong arm was that it was wrong to touch it, to pinch it, to rub it…The wrong arm was not for us to take her by and lead her. The wrong arm was not for us to tap it for her to turn” (117). This portion of the root pattern containing its split-off pattern of “wrong” wrenches with tension, and provides a source of conflict in the story. The fact that “the wrong arm” should never be touched acts as an obstacle for the narrator in his quest to discover the truth behind his mother’s mental and physical state. The root pattern of “the wrong arm” and all of its split-off patterns of “wrong,” “wronger,” and “wrongness” repeat 27 times throughout the text. Lipsyte slowly unravels the history of hurt behind “the wrong arm” and its history of hurt through split-off patterns like “bees,” “bad nails in the porch door,” “porch-door nails,” and “scars.” Split-off patterns relate back to the root pattern in other ways, like the way “the boats” functions as the motive for the scene and the way “waste a wish” functions in the narrator’s evolving line of desire. Of course, there’s not enough time to look at examples of these patterns in any real detail, so instead, let’s look at possibly the most important connection to be drawn from the history of “the wrong arm” as seen in this example of the root pattern: “The wrong arm would never heal right.” Not only is it “wrong” to touch “the arm,” but the narrator also understands that “the wrong arm” would never heal “right.” This portion of the pattern is constructed on sameness and difference, or, as opposites, like in the instance of “good” and the implied “not good” in Walser’s story. The next example of the split-off pattern “wrong” reveals a change in the narrator’s line of desire when the narrator says, “We were making it wrong by saying it was wrong. We should be holding it and rubbing it and taking her by it to lead her somewhere. To lead her by it to the boats” (121). This is the climax of the story, a turning point in the narrator’s understanding of his mother’s arm as he begins to form a new association in his mind. At the same time, this example recalls an earlier utterance of “the wrong arm” root pattern: “All we knew about the wrong arm was that it was wrong to touch it, to pinch it, to rub it…The wrong arm was not for us to take her by and lead her.” The change in the narrator results from his desire to deny the entire history of “the wrong arm,” to move beyond the prior association that touching “the wrong arm” is “wrong,” and so the story ends on the action of his following through: “And then I did the wrong thing.” All at once, the narrator’s actions extend the split-off pattern of “wrong,” complicate story action, and complete the circular momentum of the plot. Throughout this essay I have looked at small examples of word patterns for the ways they function in narrative through a relational network of connections. 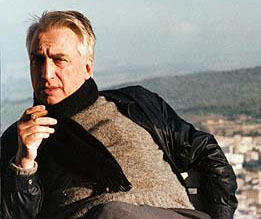 On the relational nature of written language, Barthes says, “connections lead the word on, and at once carry it towards a meaning which is an ever-deferred project” (47). In these stories by Stein, Walser, and Lipsyte, the connections between words do not point immediately to one meaning, but rather, defer meaning through the act of repetition. 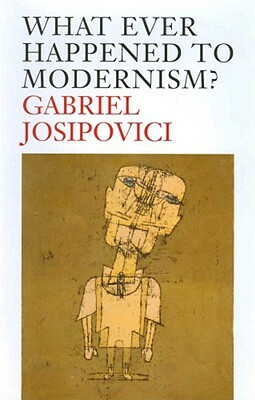 This effect is something that contemporary British literary theorist Gabriel Josipovici, in his book Whatever Happened to Modernism?, calls the “playing off” of “forward movement against stillness and repetition,” an effect that has long been prevalent in poetry (Modernism, 87). 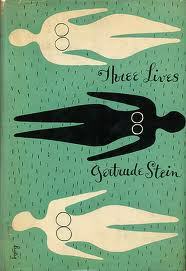 On the making of Three Lives, the book in which “Melanctha” was first published, Stein says, “In the ﬁrst book there was a groping for a continuous present and for using everything by beginning again and again” (3). Stein’s “using everything,” her reliance on repetitions, and the varying of those repetitions allowed her to construct Melanctha out of a succession of contexts instead of a scene-by-scene based pattern of conflict. The resulting narrative seems temporally odd with a constantly churning, elliptical momentum. As readers, we move through the narrative without seeming to move at all. Roland Barthes says that narrative “is an act which necessarily implies a duration,” and by “duration” he means an “oriented and meaningful time” (38). In an essay by Ben Marcus in the June 2003 edition of The Believer, Marcus says, “One basic meaning of narrative [is] to create time where there was none” (2). 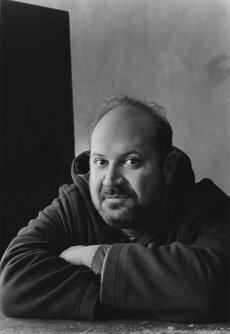 He also says, “Fiction is the production of false time for readers to experience. Most fiction seeks to become time.” The stories by Stein, Walser, and Lipsyte are all concerned with influencing the way readers experience narrative time through using repetition and word patterning as orienting devices to compress time (in the way Lipsyte compresses a history of hurt into “the wrong arm”), or to subvert our narrative-based notion of passing time (in the way Stein carries out her concept of a “continuous present,” or in the way Walser decelerates the forward momentum of his narrative). As writers, there’s no way to escape time, but there are alternative ways for building narratives outside of using an events-with-consequences based pattern of conflict. In word-pattern based stories, the duration of the narrative persists as long as the dominating or root pattern remains open, and in this relational temporality, the tension between a set of words behaves similarly to the way consequences separate events. Causality and consequence will always be concerns for fiction writers, but the contingencies that result from the textual connections between repeating words and phrases can also provide narrative movement or momentum, and new opportunities for finding ways in, around, and out of story. Barthes, Roland. Writing Degree Zero. New York: Hill and Wang. 1968. Glover, Douglas. Attack of the Copula Spiders. Biblioasis. 2012. Josipovici, Gabriel. Whatever Happened to Modernism?. New Haven and London: Yale University Press. 2011. Lipsyte, Sam. “The Wrong Arm.” Venus Drive. New York: Farrar, Straus, and Giroux. 2000. Marcus, Ben. “On the Lyric Essay.” The Believer. July 2003. Stein, Gertrude. “Portraits and Repetition,” Lectures in America. New York: Random House. 1935. “Melanctha.” Three Lives. 1909. Walser, Robert. “Nothing at All.” Selected Stories. New York: Farrar, Straus and Giroux. 2012. Jason Lucarelli lives in Scranton, PA. 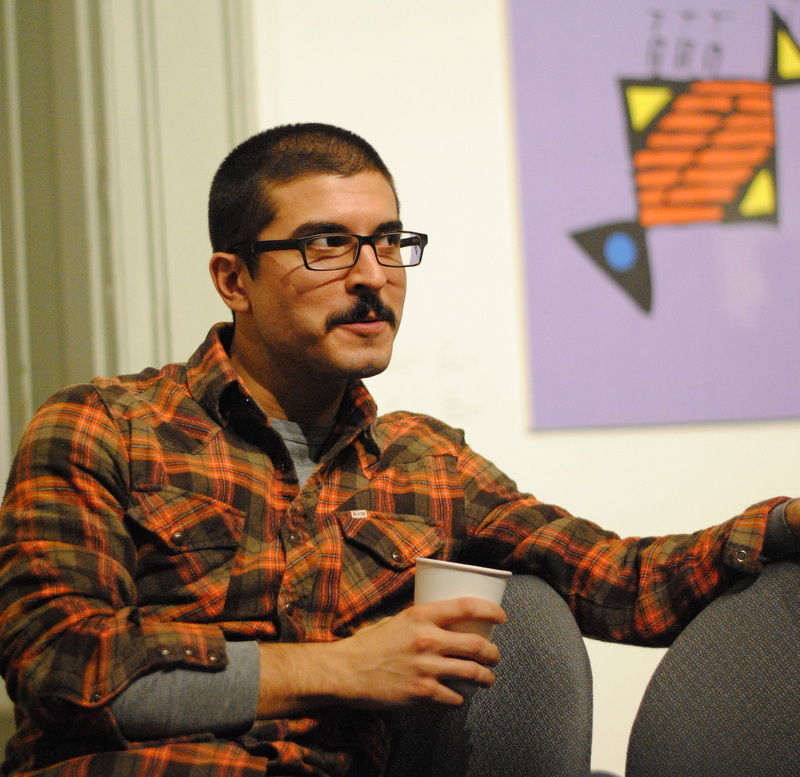 He is a recent graduate of the MFA in Writing Program at Vermont College of Fine Arts. This is his second appearance on the pages of Numéro Cinq.